An online and physical radio project that creates a dialogue between South African and French cultural practitioners. 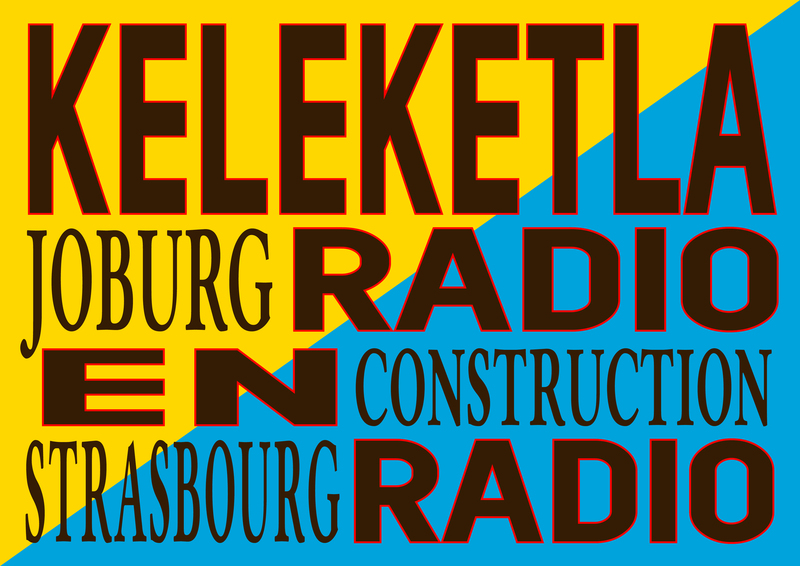 Taking place at L’Ososphere, an electronic arts festival in Strasbourg, the radio project will consist of a 24-hour music playlist on Keleketla! Library and Radio En Construction websites. Radio En Construction vibre au son des Nuits Électroniques de l’Ososphère et croise sa route sonore avec le collectif sud-africain Keleketla! composé de deux artistes de Johannesburg, spécialistes des cultures urbaines, venus à Strasbourg dans le cadre des saisons croisées Afrique du Sud – France. Radio En construction will spread its mobile studio at the heart of the Forum of the FNAC on September 27th and 28th, from 3 pm till 7 pm, live and in public. The radio show aims to foreground the narrative of contemporary Joburg through the voices of some of its active agents in the arts and culture scene. It probes at ways in which they employ strategies to share their practices with others in the city and the world. These are individuals that the mainstream media has not engaged in a thoughtful way and have thus sought to employ self-engineered devices such as independent publishing and releases to tell their radical realities within the belly of an increasingly competitive city. This feature assembles together educators to discuss better ways to teach a Joburg child through approaches that enable him/her to perceive the city as learning resource. Special thanks to the National Arts Council of South Africa and the South African Seasons.